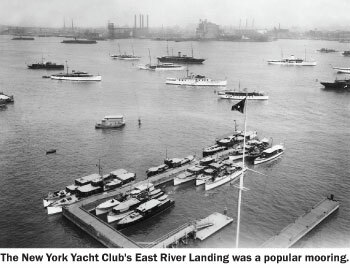 Modern Long Islanders stuck in traffic on their way to work—or despairing over whether the tunnel linking the Long Island Rail Road to Grand Central Station will ever be completed—may be happy to consider commuting by yacht, a regional phenomenon a century ago. The seasonal practice which ran from early spring to late fall soon led to a whole new class of yachts known as “commuters” or “business boats.” While these Manhattan-bound fliers first relied on steam for propulsion, combustion engines developed for aircraft during World War I were installed by the 1920s and whisked their owners along at speeds ranging from 30 to 50 mph. 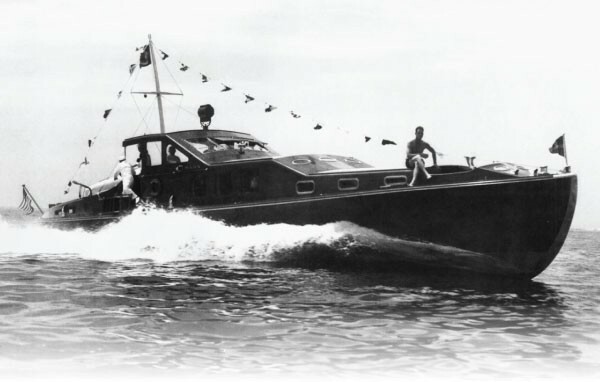 Marshall Fields’ Corisande, a 50-footer built by Gold Cup legend Gar Wood, was powered by two 450-horsepower V-12 Liberty aircraft engines that consumed 175 gallons of fuel as it raced in and out of the city every day. 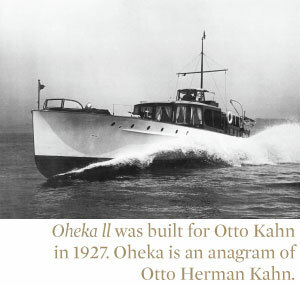 Otto Kahn, the investment banker who built Oheka Castle, preferred German technology and had three Maybach zeppelin engines in his glorious 1927 commuter, Oheka II, built by Lurssen of Vegesack, Germany. Perhaps the most famous business boats, Saga and Aphrodite, were owned by brothers-in-law Charles Payson and John Hay “Jock” Whitney. Needless to say, Saga also consumed a prodigious amount of fuel. Stopping for gas on one voyage, Payson was surprised to see a crowd waiting; the fuel dock’s creditors had heard Saga was coming and came to collect on their debts. Built to beat Saga, the Purdy Boat Company of Port Washington’s Aphrodite is still extant and is perhaps the most beautiful commuter ever built. 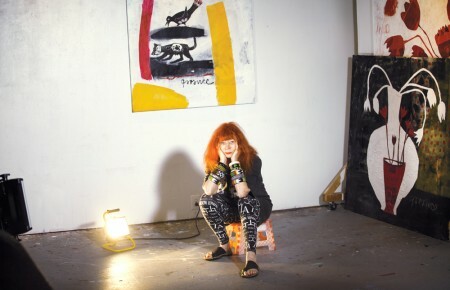 During the Whitney years, her guest list included Fred Astaire, Vivien Leigh, Helen Hayes, Shirley Temple, Spencer Tracy, Katherine Hepburn and Joan Crawford. In government service during World War II she was powered by Packard V-12s and attained a speed of 54mph.She was used as a chase boat in PT boat trials and also to run dispatches up the Hudson to FDR at Hyde Park. Not everyone felt the need for speed however. J.P. “Jack” Morgan preferred the sound of steam to the roar of combustion engines and commuted on a steam flier built by Herreshoff in 1917. Many of the commuters spent the day rafted to piers at the New York Yacht Club’s landing at the foot of 26th Street in Manhattan. Larger yachts, presumably used by those who did not need to get to work on time, were anchored in the East River. The Yacht Club maintained a satellite clubhouse at the site, replete with bar and billiard room where owners could gather before shoving off. The Depression and Robert Moses’s parkways, which were then lightly traveled, were among the factors that conspired to bring the era of water commuting to a close. However, as we consider the transportation challenges of the 21st century, it is interesting to think there is a great 30 lane highway out there, Long Island Sound, that may hold some of the answers. Robert B. MacKay, Ph.D. is a Long Island historian and the author of Great Yachts of Long Island’s North Shore. This story is based on the book.